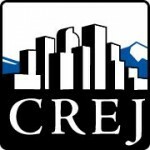 Denver’s commercial real estate has been growing at a consistent and sustainable rate. At first blush, Denver’s commercial real estate markets may appear to be due for a downturn, but a data-driven look at the market suggests otherwise. After breaking into the top 10 for the first time in 2016, Denver inched up to eighth in CBRE’s 2017 rankings of hot commercial real estate markets. “Our multifamily, industrial and retail sectors all finished 2016 with record highs, [and] we anticipate strong investor interest in Denver in the years ahead,” said Pete Schippits, CBRE senior managing director for Colorado. Investors poured nearly $13 billion into Denver commercial real estate in 2016 alone – a 23 percent increase over 2015 – but some observers still are worried that the city’s markets may be headed into a period of decline. “There are those who believe that Denver is getting close the end of its construction cycle and that the market will begin to head into its downside,” according to an article from Commercial Property Executive. 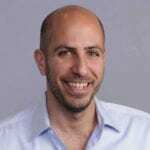 This circumspection is understandable in the wake of the Great Recession, which served as a prime example of how explosive growth often can presage a market downturn. For example, the median sales price of commercial real estate assets in Denver increased by an astounding 58.5 percent between 2004 and 2007 before the recession caused it to plummet by 31.9 percent in 2008. And while CNBC already has reported that Denver is one of four major U.S. cities in which home prices are overvalued, it remains open for debate whether such overvaluation has bled into Denver’s commercial markets. A market on the rise or poised for decline? Much of Denver’s recent growth has come in response to the city’s ongoing transformation into a popular place for young people to settle down. According to PwC and the Urban Land Institute, Denver’s five-year annual net migration currently stands above 20,000, and its 1.3 percent year-over-year population growth rate is higher than rates in trendy towns like Portland, Oregon; Austin, Texas; and Nashville, Tennessee. This population surge coincides with a healthy local job market. The city’s proportion of high-paying science, technology, engineering and mathematics jobs is 1.5 times higher than the national average, and its five-year annual employment change sits at a robust 121.3 percent. 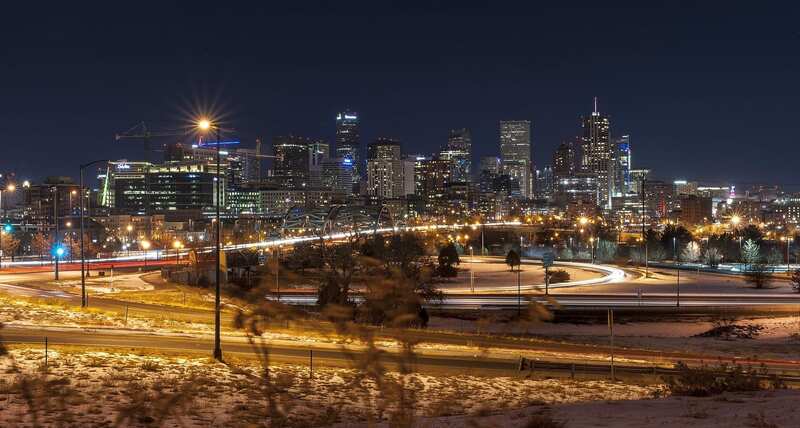 What’s more, Denver’s below-average cost of doing business and below-average cost of living (residents spend 6 percent less of their income on rent than the average American) make it an enticing option for just about anyone looking to relocate. That said, Denver’s extended winning streak has led to speculation that it’s only a matter of time before it all comes crashing down. This has become a particularly popular talking point within the commercial real estate industry – and, at least superficially, not entirely without reason. As of the third-quarter 2017, Denver accounted for 5 percent of the country’s total office construction – one of only seven cities claiming more than 3 percent – and its percent of citywide multifamily inventory under construction (9.5 percent) is more than double the national average (4.6 percent). These figures notwithstanding, a deep dive into our proprietary data reveals that Denver’s commercial real estate bubble is not, in fact, on the verge of bursting, but has been growing at a consistent – and sustainable – rate. A mile-deep dive. According to our data, Denver’s average volume of annual sales between 2007 and 2016 was 15.7 percent lower than its average volume of annual sales during the previous 10-year period. However, if we look only at the half-decade covering 2012 through 2016 – thereby sidelining the worst effects of the Great Recession – Denver’s average volume of annual sales has stayed more or less constant over the last 15 nonrecession years. Increases in the median sales price of assets in Denver have remained steady over most of the last 20 years. From 1997 to 2007, median sales prices increased by an average of 12.9 percent per year, whereas from 2009 to 2017, median sales prices have consistently increased by an average of 12.8 percent per year. In other words, outside the worst years of the recession – the median sales price of assets dropped 31.9 percent from 2007 to 2008 and a further 25.8 percent from 2008 to 2009 – the cost of commercial real estate in Denver has been climbing at the same rate for at least two decades. If we narrow our focus to the last five years, the picture starts to look a little different. From 2013 to the present, median sales prices have been growing by just over 22 percent per year. That said, Denver’s average volume of annual sales in the last half-decade is 18 percent higher than its average volume of sales between 1997 and 2006 and 22 percent higher than its average volume of sales in the immediate aftermath of the recession. If anything, this suggests that Denver’s explosion of construction in recent years has been insufficient to keep up with skyrocketing demand, resulting in prices rising at an accelerated rate – hardly an augury of an imminent bubble burst. The future of commercial real estate in Denver. While no one can predict the future, our data strongly suggests that a sudden collapse of Denver’s flourishing commercial real estate markets is highly unlikely. Both annual sales volume and sales price growth have stayed remarkably steady since the turn of the century, and there’s no reason to think this will change anytime soon. The city’s transformation into the inland West’s premier destination for relocators has caused a spike in property values in recent years, but with demand continuing to rise, an increase in supply appears to be the most natural release valve. As Schippits pointed out, this is exactly what investors want to hear.